For a while now I’ve had a sad feeling that I was way cooler and funnier when I was a kid. Tonight, I rediscovered some drawings I did when I was about 13 that kind of cracked me up. I used to have piles of doodles like this – random characters and jokes. Nowadays, I have to sit down and strain, and really try to have ideas before I can finally squeeze one out. 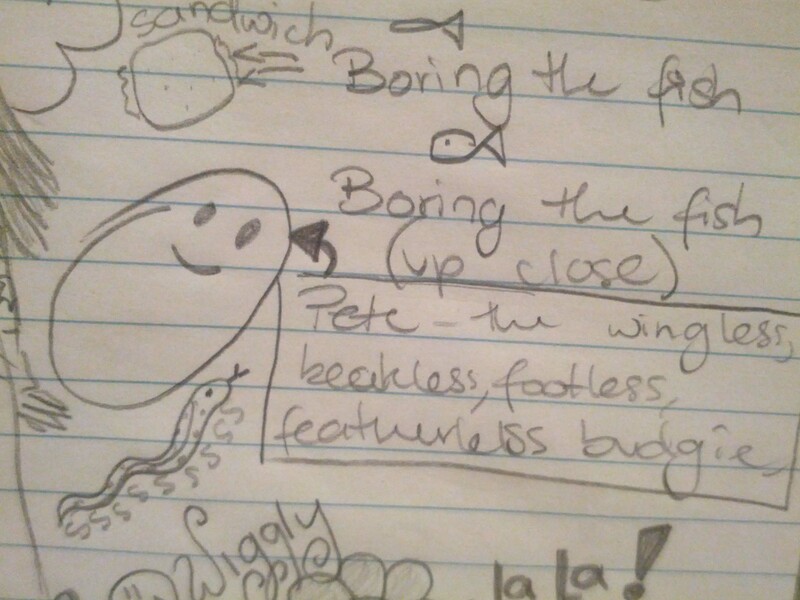 No more does comedy gold like “Pete the wingless, beakless, footless, featherless budgie” just come to me.